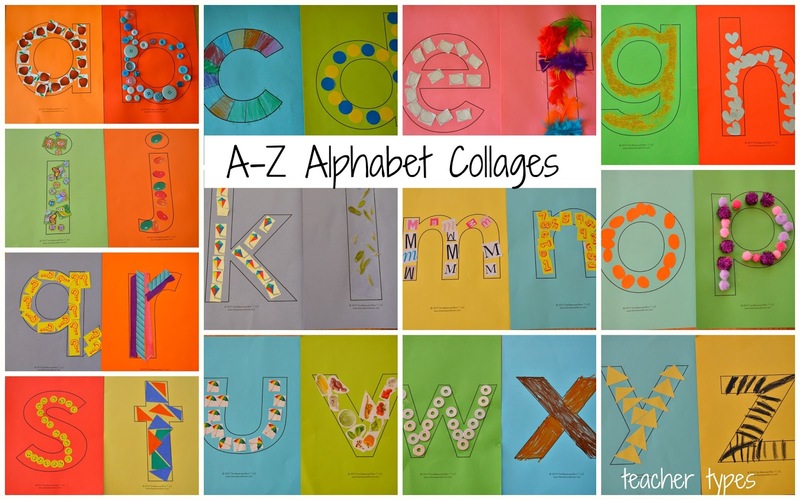 I absolutely love sharing alphabet ideas that I've used in my classroom, and this is one of my favourites. We did this activity right at the start of the year as we worked our way through our Jolly Phonics sounds, and I only just recently took the display down giving me a chance to photograph these brilliant alphabet collages. If you look closely, you'll notice that each letter is filled with something beginning with that letter. These fantastic templates came from The Measured Mom. Click here to find the lower case letters like I used, and here to find the upper case letters along with a comprehensive list of ideas to fill each letter. School's here in Australia are half way through their year, and have most likely mastered the alphabet by now (so please pin this post for next year fellow Aussie early years teachers!!). But on the other side of the world - school is just going back, and I'm sure there would be some eager 5 year olds who would love this activity. Twenty Six Letters - 26 hands on ways to learn the letters of the alphabet. Perfect for children just beginning to learn their letters.